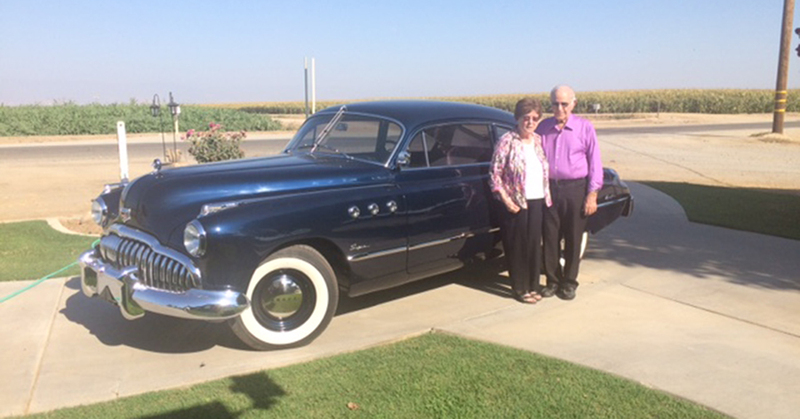 “My dad bought that car new because he was getting married,” said Tom Barcellos who surprised his folks and the rest of the family with a restoration project taking nearly two decades and as many twists and turns as a mountain road. “That was their honeymoon car,” he added. 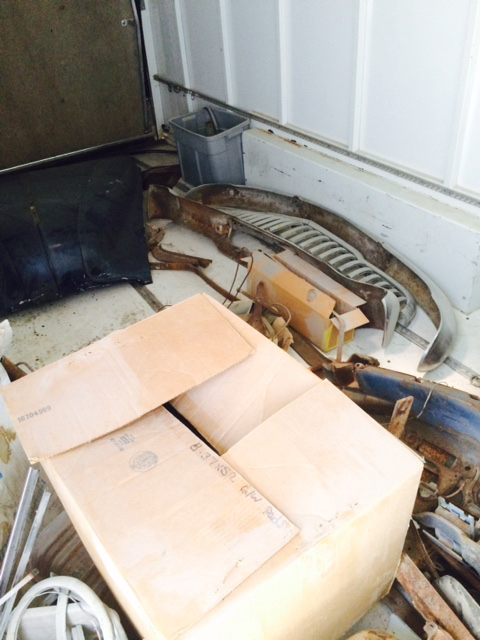 Barcellos has the original pink slip and said that the car has remained in the family for nearly 70 years. 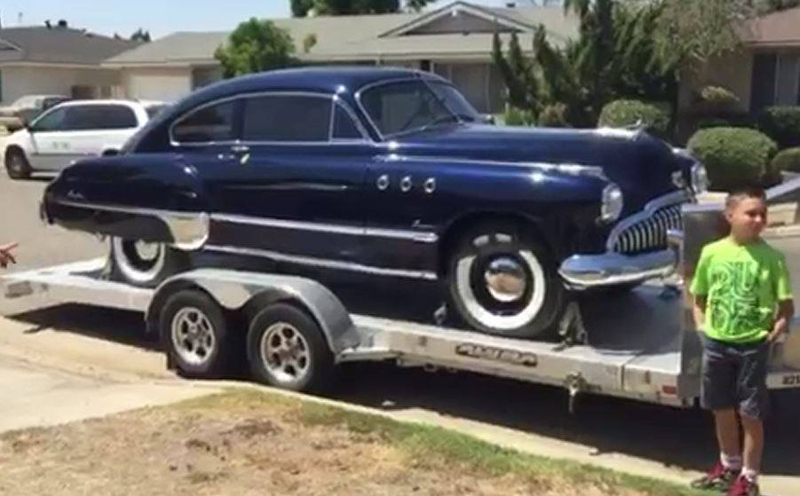 When the folks purchased a 1959 Buick, the honeymoon car was given a new job as lunch wagon. “I was five or six years old, riding in the passenger seat, holding a plate with my dad’s lunch of hamburger or small steak with waxed paper over it, a thermos with a cold drink and some coffee. 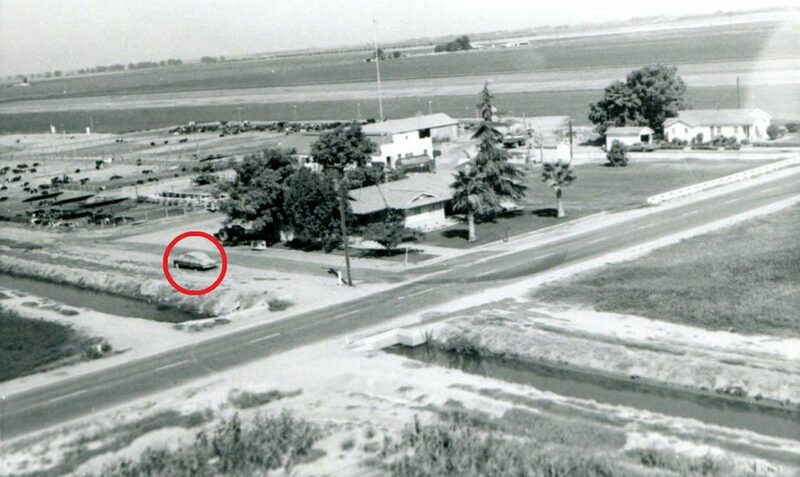 There was no Tupperware at that time,” Barcellos said. Five generations have called Barcellos Farms home and work. Barcellos lived in a remodeled home that had belonged to his grandparents not far from the barn where the honeymoon car collected dust and rust over the decades. 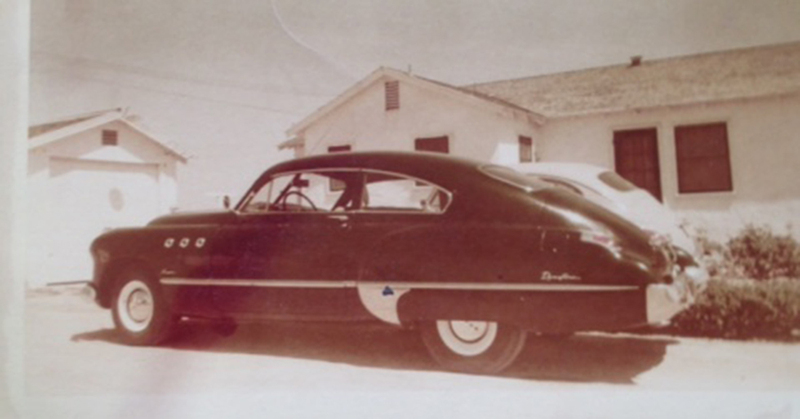 The car never left the farm until Barcellos began the restoration process. He reached out to cousins and friends for assistance. The early years in the restoration process were wrought with setbacks, but Barcellos never gave up hope. When one route was shut down, he’d look for an alternate. Years passed and Barcellos explained that EBay became a major source for parts, many still boxed. They were new, old stock. Shortcuts in the restoration process were as much of a no-no as they would have been in farming. 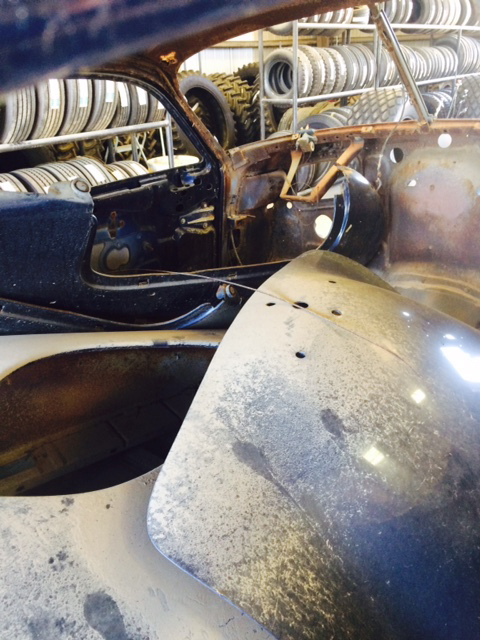 “I wanted to restore the vehicle to original. The motor was overhauled in Tulare. The guy came out of retirement to do this job,” he said. The color, a blue-purple in sunlight and almost black otherwise, is the closest match, he explained, to the original color without the lead-based pigments. Even the interior sports the same color and pattern as the original. More recently, finding parts online has become easier. That’s how he found many of the suppliers and assistants. The glass firm was in Washington and offered to drop ship. The car was in California, two miles from where the glass was cut. The upholstery shop was across the street. Some things just fall into place when they need to. His regret is that there were few pictures documenting the restoration process, but those of his mom and dad and their faces upon seeing the newly restored honeymoon Buick were, as they say, priceless. “We had one like that,” his mom said after the unveiling in front of the clan who’d gathered in early August for the annual birthday celebrations. “Mom, that is yours,” he said. Barcellos said that his parents (now 86 and 92) hadn’t known about the restoration and that the car had been out of sight for so long that no one really thought about it. 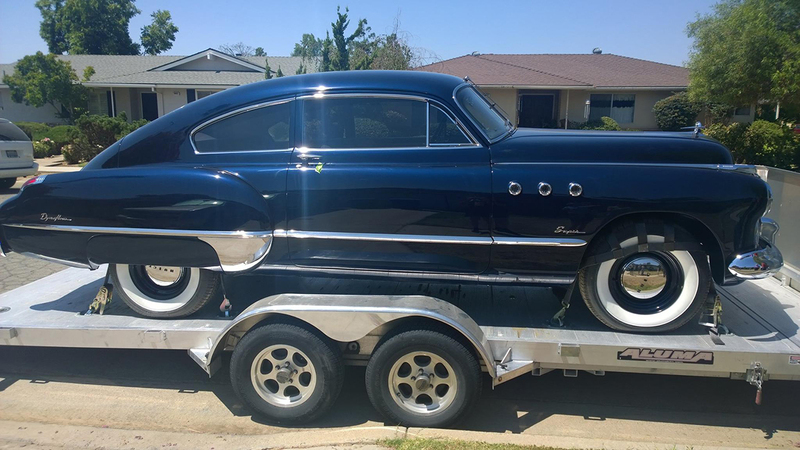 There are a few more things to do – the exhaust system needs finishing and the steering column needs a bit of work, but then he’ll drive his parents in their honeymoon car once again.